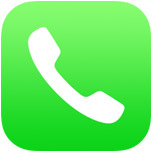 The iPhone Favorites list in the Phone app offers a fast way to dial “favorite” contacts. 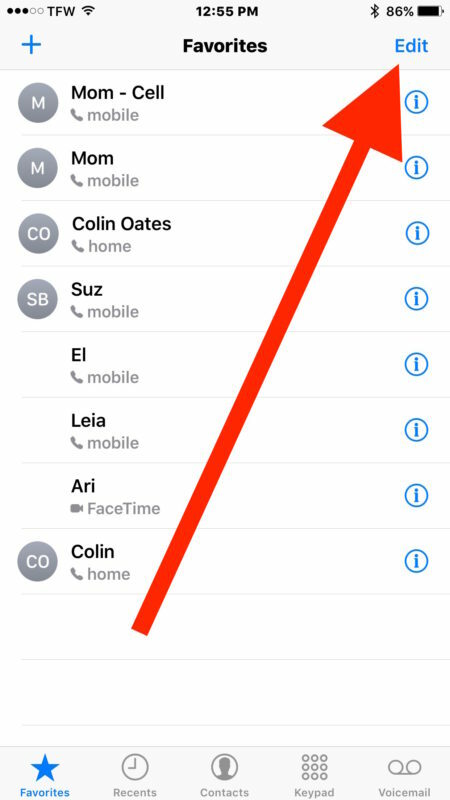 The Favorites contact list is undeniably convenient, and you may decide you want to change what numbers are shown here or who are in that favorites list. 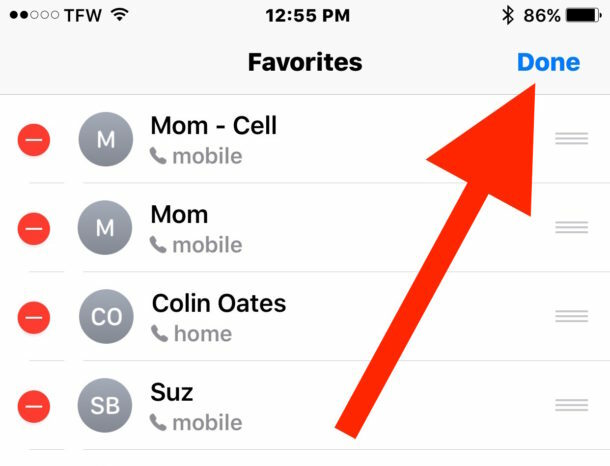 A friend recently asked how to remove an iPhone favorite from their contacts list without removing it from their phone completely, and that’s exactly what we’ll show you how to do here. 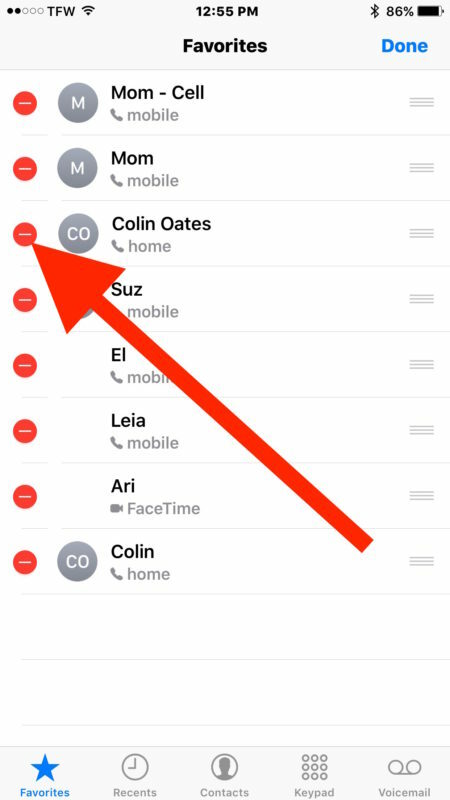 As mentioned before, this only removes the contact from the Favorites list, it does not remove the contact from the iPhone or iCloud. 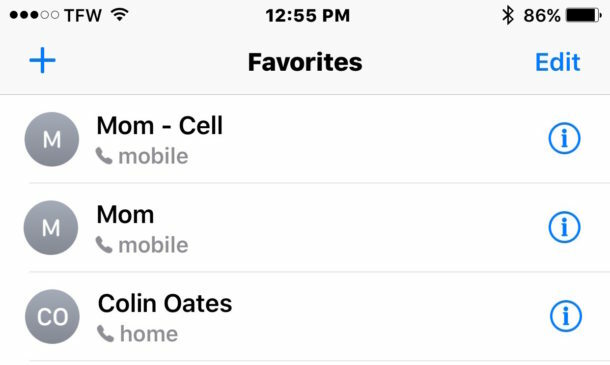 If you accidentally removed a contact from Favorites that you’d like to re-add, bringing them back is just as easy. To add a new favorite to the Favorites list, just hit the + plus button in the Favorites app to browse the contact list and choose who to add. Nice ..and not complicated ….I have attempted to remove group contacts in messages with no success ,perhaps you could explain how to do that too. Thx in advance. Next question: How to permanently remove unwanted email addresses that spill into/are still accessible in the email “to” address line. Good to know, I added a bunch to this list but it was accidental so I would like to clean it up. Thanks! Instructions very easy to follow! When I go to Favourites the Edit sign is not shown in the top right corner. How do I make it appear?